Picture the scene: there’s one song that’s absolutely inescapable. It’s impacting the upper reaches of charts across the world and is being downloaded in its droves, not to mention that it’s part of the meticulously timed comeback from one of the biggest artists on the planet. Now, picture this scene: you’re an upstart metalcore band around at the same time, looking for any way possible to break out into the public eye, even for just the most ephemeral moment to get your name out there. So what do you do? Well if you’re I Prevail plugging away under the reign of Taylor Swift’s Blank Space, you record a Punk Goes Pop-style cover and just rake in the viral success, even landing a place on the US’s Billboard Hot 100 chart. Now, success through this manner isn’t anything new – a lot of acts on those Punk Goes… compilations are only known at all because of their inclusions, and taking a cursory look at I Prevail’s debut full-length Lifelines, all signs pointed to them going the same way. It’s being released on Fearless for a start, a label almost in the same league as Rise, Sumerian and UNFD for the typecasting of its roster, and with track names like Outcast and The Heart I Surrender, one would assume this to be yet another metalcore band intending to find favour by jumping on the already creaking scene bandwagon. But what we actually get isn’t that – it’s so much worse. Lifelines certainly lives down to its trend-hopping preconceptions (trends that were only really prevalent around three years ago, may we add), but it’s an album that feels utterly soulless, made by a band without a shred of believability in what they’re saying who are looking to pander to a despondent, young audience for no other reason than to make a quick buck. Ignoring the fact that Rise is a song about working hard to get what you want when this band would be absolutely nowhere if it wasn’t for a viral cover, there’s no conviction or emotional stakes in any of this. Across this thirteen track gauntlet of derivativeness, I Prevail manage to stick in every single modern metalcore cliché with no attempt of their own stamp and that have been done better countless times – the tracks that appeal to the disenfranchised youth like Scars and Outcasts, a handful of callouts to understandable detractors on Come And Get It and Already Dead, and everything in between to really give the feeling that this could be literally any other band slogging away on the low stages at Warped Tour. But it’s not even a case of them just being bad songs; as a band, I Prevail have little to nothing going for them. Their best asset is probably clean vocalist Brian Burkheiser who at least has a bit of strength and personality to his voice (more than can be said for Eric Vanlerberghe, the utterly faceless screamer who brings nothing original to the table whatsoever), but other than that, Lifelines falls into every single pitfall that stands in the way of these kinds of bands. It has that awful combination of having no instrumental heft and being disgustingly overproduced to the point where the mix is so sanitised it tests what can really be classed as metal. And this is across the board too – Alone drowns so deeply in electronic manipulation that not a single organic instrument can be heard, while the sickly acoustic ballad My Heart I Surrender is all the confirmation needed that this is a band vying for popularity rather than any vestige of artistic integrity. The album’s only saved from complete irredeemability by Stuck In My Head and One More Time, which both adopt the form of bounding melodic rock that’s nothing close to original, but they’re at least enjoyable to listen to and feel a bit more like a band with an actual vision beyond doing what’s worked for scores of others before them. But the biggest problem with Lifelines is that, discounting the prior exceptions, from start to finish it feels as though I Prevail know they have nothing to offer. There’s not even an attempt to push themselves; they actively seem comfortable flogging this dead horse, spewing out empty platitudes before wrapping it all up in a catchy but ultimately vapid hook. Yes, it sounds cynical, but in today’s climate where most music is driven by industry and little else, being cynical often ends up being right. Lifelines feels like the very definition of an album made by committee, one that puts together all the right pieces to make megabucks performed by a mouthpiece that’ll be forgotten this time next year. In a scene that’s dying out as it is, I Prevail’s attempt at breaking through now feels like not only the most odious, corporate-fuelled way possible of capitalising on its final embers, but one that’s destined to have its instigators remembered as nothing more than ‘that band who did the Taylor Swift cover’. 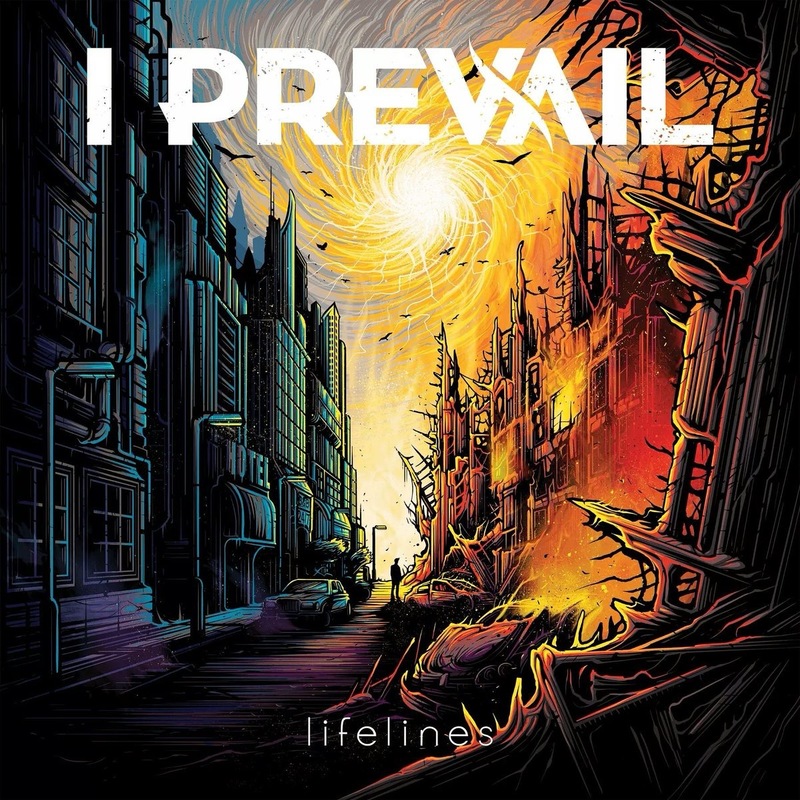 ‘Lifelines’ by I Prevail is released on 21st October on Fearless Records.